Effective July 1, 2015, it will be illegal to possess or use deer scents/lures that contain natural deer urine or other bodily fluids while taking, attempting to take, attracting, or scouting wildlife in Virginia. Chronic wasting disease (CWD) poses a significant risk to the long-term health and stability of the Virginia white-tailed deer populations. Since it was first found east of the Mississippi in Wisconsin in 2002, CWD has been found in a total of eight eastern states, including Virginia. To date, the Virginia Department of Game and Inland Fisheries (VDGIF) has spent over one million dollars on CWD monitoring and management efforts. Importation bans on whole carcass and certain carcass parts (i.e., brain and spinal cord) from high-risk CWD areas (including areas or states infected with CWD or any North American enclosure intended to confine deer) are already in place in Virginia, along with a ban on interstate movement of captive deer and elk. Reducing the use of natural deer urine attractants by prohibiting the possession or use while afield for the purposes of taking or attempting to take, attracting, or scouting will further minimize the risk of introducing CWD into a new area of Virginia. Why is the use of deer urine attractants risky? The infectious proteins (i.e., prions) known to transmit CWD have been found in the urine, feces, and saliva of infected individuals. To make these commercial scents, urine from captive elk and/or deer kept outside of Virginia is collected over a grate system that does not prevent contamination from either feces or saliva. The "urine" product is not treated chemically or with heat to kill the infectious proteins because these treatments would also secondarily destroy the desired scent characteristics. The infectious proteins causing CWD are extremely resistant to degradation and may persist in the environment for years in contaminated soil, thereby posing a disease transmission risk to deer for extended lengths of time. Additionally, many of the facilities are located in areas or states with CWD. Deer in Virginia that taste or sniff these products may actually be exposing themselves to CWD harbored by deer living hundreds of miles away that were used to collect the infected urine. Why did the Department decide to ban these urine-based products? The VDGIF is taking a pro-active approach on this issue and has banned possession and use until it is proven that prions are not spread in commercial deer urine products, rather than continue to risk introducing CWD to new areas until it is confirmed that urine attractants do spread prions. VDGIF's intent with this regulation is to protect our deer hunting heritage by ensuring that future generations have the same opportunities to deer hunt as are available to Virginians today and to protect the long-term health and stability of the Virginia deer herd. Both of these goals can be achieved, in part, by trying to minimize the areas in Virginia infected with CWD. What does "possess or use" a natural deer urine attractant mean? It will still be legal for products that contain natural deer urine or other bodily fluids to be purchased and sold in Virginia. However, it will not be legal for individuals to have these products in their possession or on their person while afield for the purposes of taking or attempting to take, attracting, or scouting any wild animal in Virginia. Can I collect and use urine and/or tarsal glands from deer I kill in Virginia? You cannot use these fluids afield anywhere in Virginia. Possession or use of any natural deer urine, feces, blood, gland oil, or other bodily fluid while afield for the purposes of taking or attempting to take, attracting, or scouting any wild animal becomes illegal in Virginia starting July 1, 2015. Are there any legal alternatives to natural deer urine lures? Yes, there are synthetic products that can be used to attract or lure deer but do not pose any secondary risks for CWD transmission to Virginia white-tailed deer. These products are readily available at sporting goods stores and online retailers. Why should I worry about CWD in Virginia? Population models predict that CWD will lead to significant declines in deer populations over time. Current research in Wyoming suggests that white-tailed deer numbers are significantly lower in diseased areas than in areas where CWD has not yet been diagnosed, and CWD infection prevalence has risen to nearly 25 percent in adult bucks in some areas of Wisconsin since the initial discovery of CWD in 2002. Not only are deer an important part of Virginia's natural heritage, they are also important to the economy. Deer hunting in Virginia generates over $600 million in economic activity, according to data from the U. S. Fish and Wildlife Service's 2011 National Survey of Fishing, Hunting, and Wildlife-Associated Recreation for Virginia. Over 20,000 jobs were related to hunting in Virginia in 2011, according to a report by the National Shooting Sports Foundation. This prohibition on the possession or use of deer urine attractants while afield was enacted in order to protect Virginia's deer populations and our Virginia deer hunting heritage by ensuring that future generations have the same opportunities to deer hunt as are available to Virginians today. Get more information on CWD here. I spent a very uneventful evening fly fishing on Glady Fork in Randolph County, WV yesterday. It was; I do believe the deadest I have ever seen a trout stream. Chubs weren't even rising. 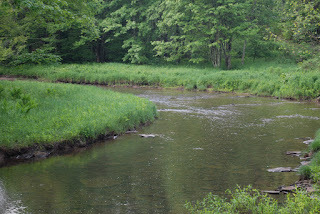 I fished for 2 solid hours and saw exactly 2 March Browns and 2 Dobson Flies in the air. There was no feeding bird activity, since there was nothing to feed on. I made it back to my truck a bit before dark and drove upstream. I noticed a few Isonychias in the air above a riffle and stopped. I already had a pair of beadheaded Zug Bugs pre-tied on a fluorocarbon tippet. I was prepared, but the fish didn't cooperate. I saw absolutely zero feeding on the surface or below the surface. Therefore I was sitting and staring as I often do. 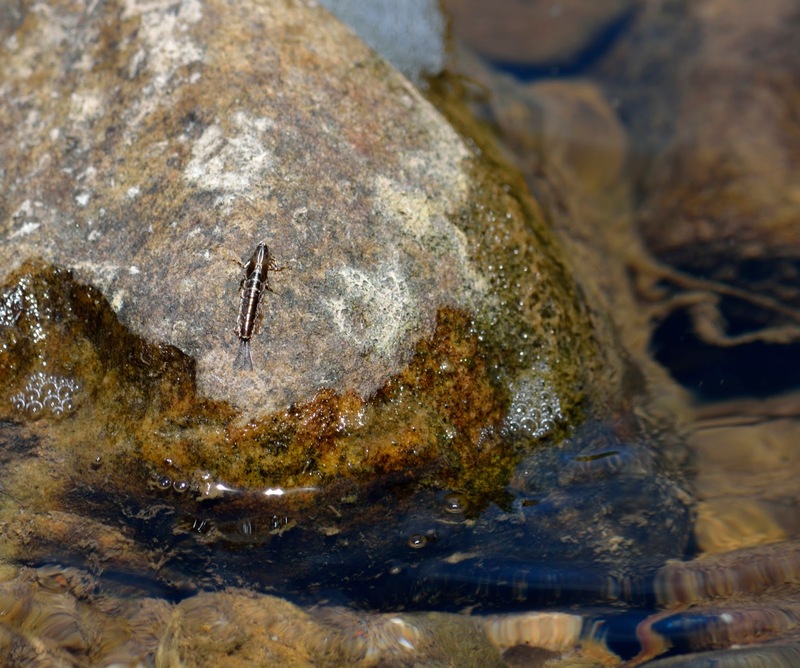 You know how you have always been told that Isonychias ALWAYS crawl up on the downstream side of an exposed rock to hatch; well they don't. I was sitting there and one popped out of 2 feet of water right in front of me. Shortly thereafter another followed and I caught it in mid-air. we now know that this species does emerge from the water at times. One should never use the word Always...Now we Know. If you were to look back on life and attempt to categorize things that you actually know a whole bunch about; I imagine the things that top out your list are things you learned by doing. It is all right to sit in a classroom and learn from one who tells you what they have read and studied. The best lessons come from doing and experiencing. Knowledge comes from living. I would bet that several things you now know are things that you never set out to learn. I know people who quit learning the day they walked out of whatever formal school they last attended. I feel sorry for them. Life happens; take advantage of your opportunities to improve upon your understanding of the world. The last week of June and first week of July was coal miner vacation when I was young. That week in June meant it was time for camping and fishing. It was the best week of the year for me. The destination was usually the West Fork of the Greenbrier. The whole family and often a friend or two went. Vehicles were loaded with provisions and that big smelly canvas tent. The majority of everyday was spent fishing. We didn’t know back then that since the river hadn’t been stocked in over a month that it wasn’t worth fishing. We caught fish, too. Lots of fish. That was about the time I began to notice how fish fed in the summer heat. I noticed fish feeding on the surface, sipping insects. I noticed that the most activity was in the shade. We still caught trout on salmon eggs and night crawlers but it wasn’t steady or consistent. Presentations were often overlooked by noticeably feeding fish. I knew there was a better method; but wasn’t sure of what it was. 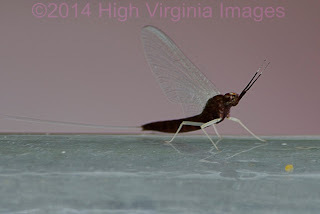 I noticed thousands of tiny black mayflies one morning while fishing. They were thick on the grasses and in the spider webs. Fish could be seen feeding but no trout could be caught. 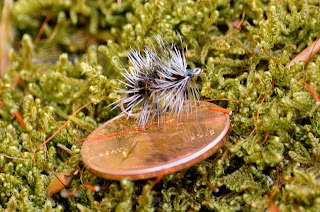 Tricorythodes (Tricos) were unknown and never heard of by me but I dug around in my fly collection and found a size 20 Black Gnat. The fishing trip was saved from then on. I had a grand total of 2 tiny flies; the other was a size 22 white midge. I used the black fly when I could see it and the white one at dusk and dawn. It worked for me and we ate trout all week. Yes, I do know now that Tricos are dark olive. The ability to learn cannot be taken away; unless you allow it to. Proponents of National Monuments/Birthplace of Rivers etc. READ THIS..
WASHINGTON, D.C. – June 5, 2015 – Today, the National Park Service announced its final General Management Plan (GMP) for Biscayne National Park. Despite commitments made by Biscayne National Park officials to work with stakeholders and the state of Florida to explore less restrictive options, the GMP includes a marine reserve, eliminating fishing and severely restricting boating in over 10,000 acres of the park’s most popular and productive marine waters. For the past several years, a large coalition of partners in the recreational boating and fishing community has submitted comments, attended public meetings and organized discussions with the leadership at the National Park Service in an attempt to balance the critical need for conservation with the need for recreational access to the park’s waters. Numerous fisheries management measures were presented to the National Park Service that would balance resource conservation with maintaining public access, including size limits, bag limits, quotas, permits, seasonal closures and gear restrictions. To read the most recent public comments submitted by the recreational boating and fishing community to the National Park Service on this issue, click here.